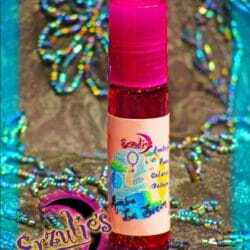 Perfume Oils, Spiritual Perfume Oils & Gemstone Perfume Oils ~ Goddess of Love & Beauty Perfume Oils! 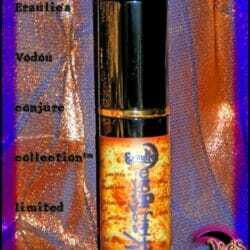 The beloved Voodoo goddess of love, passion, beauty, sensuality, pleasure & prosperity, this perfume is the very essence of Erzulie-Freda. Mistress Erzulie-Freda handles all matters of the heart, romance & love! She is exquisitely beautiful, very helpful in relationships, bringing new love into your life, repairing love relationships & helping with prosperity. 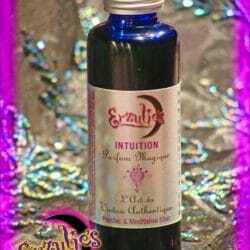 Apply our exquisite perfume oils to draw love, romance, passion, prosperity, artistic & musical inspiration, self-love and healing from prior relationships and save the gemstones for your sacred space when finished. These precious, highly concentrated, pure essential perfume oils are seductive, sweet, yet sophisticated & hand-blended with 100% pure essential oils of African Sweet Orange, Pure Rose Otto, Vanilla Absolute & Sandalwood Absolute Oils, then bottled with Precious Rose Quartz gemstones to enhance her love vibration. 15ml Colored Roll On Bottles.